Egnater MOD 50 with Modules Video Review !! Indoor Storm is proud to introduce the newest member of the Egnater amplifier family. 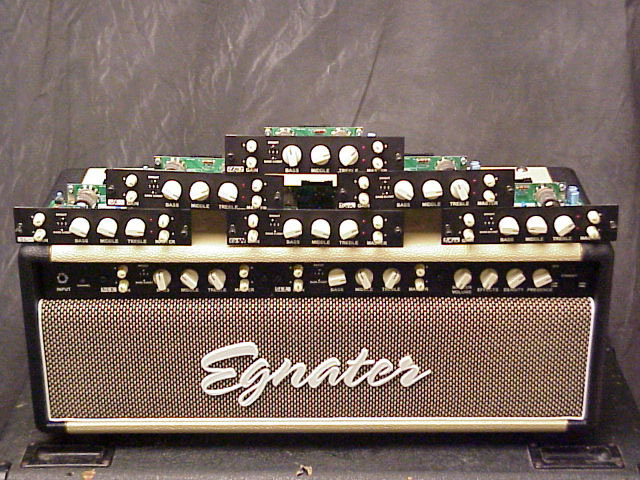 The Egnater MOD 50 Head!! This amp is an amazing creation, and we are very excited to have it here at Indoor Storm. 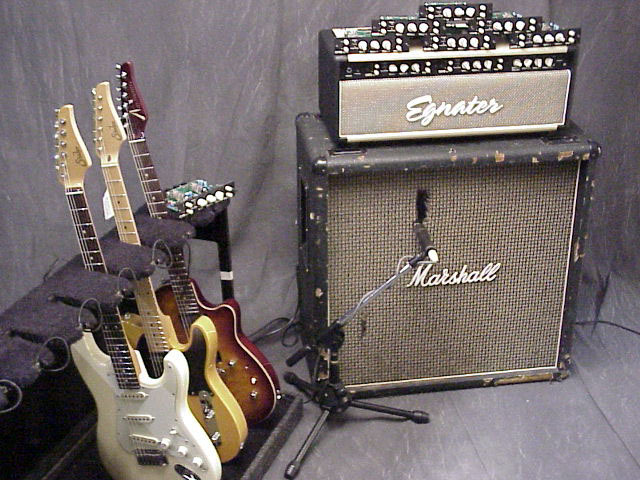 The amp is a 50 Watt "Chassis" that houses 2 of Egnater's famous modules. Commonly known for the IE4 Pre-Amp, and Rocktron TOL Series amps, Bruce, Frank, and the gang at Music Products group take amplification to the next level. The modules are designed after the tones of famous amplifiers and are powered by the head chassis. There is also a 100 Watt version available which houses 3 modules, as well as the Pre-amp which houses 4. Words cannot express how wonderful this amplifier is, so we have decided to give you some video for each module in the amplifier. We matched up a few modules and did the videos in "set-ups". 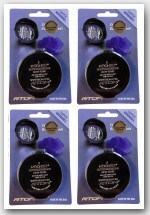 Click here to see our current Egnater Inventory! Here are the Video Clips. Please click on the links under the settings photos to see the clips! Thanks for checking out the vids, and please let us know if you have any questions about Egnater amps, or any other products that we carry at Indoor Storm ! !